Can you believe? A budget smartphone comes with 684-Hrs battery life. 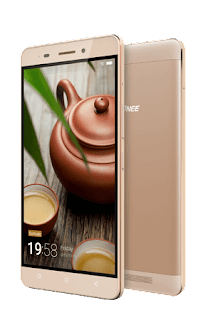 Home » Android » Gionee » Review » Can you believe? A budget smartphone comes with 684-Hrs battery life. Battery life , The most important feature in today's smartphone world. before 3 years when smart phone just arrived in market, At that time no one cares about the battery life, because the most fun was in its new and high tech features and specification. But now in 2015 technical specification is no longer be marketing strategy for smartphone industry. Because 8Mp camera and 1GB ram and 5 inch display and Android Os is common features under 10k budget phones. Gionee's Marathon series were more focused on battery life. after arriving M4 company launched new phone with much more battery life to create new benchmark in the world. I've used the word budget because of phone's technical features and price offered by company. Gionee well known for its quality and reliability. 6020mAh battery will give you 684Hrs stanby time , 62Hrs talk time and full 3 Days on screen battery life. As phone it self works as power bank so you no longer needed additional Power Backup, But you can charge other phone with OTG. gionee provides very good mobile.